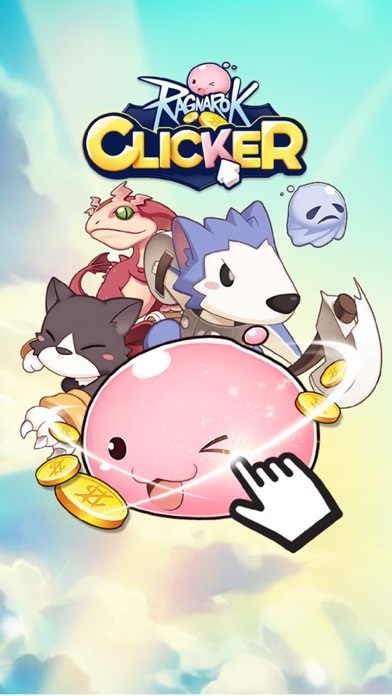 Experience the original classic world of Ragnarok Online in a new game collaboration by Playsaurus (developers of Clicker Heroes) and Gravity Interactive. The teams have "clicked" together to bring new life to the monsters and characters of Ragnarok to the idle game genre. Begin your journey with only your loyal Novice friend into the World of Ragnarok, and seeking out more party members to give you more skills and damage. Battle ever increasing challenges by assembling more party members and leveling them up with zeny, gain special bonuses by capturing MVP cards for an edge to your unique playstyle. Visit the beautiful vistas and terrifying dungeons of Ragnarok, face down monsters from the cute Porings to the terrifying MVP Bosses of the world. 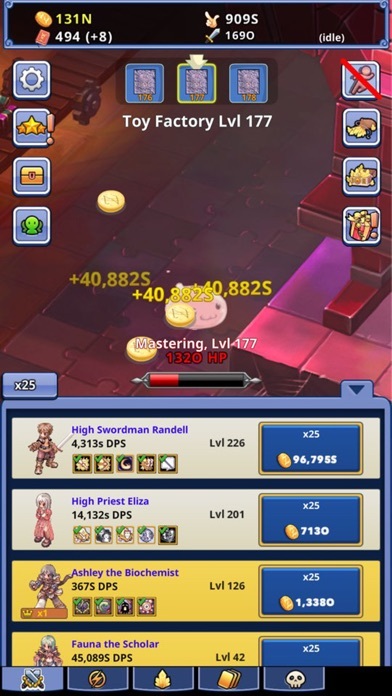 Progress to higher dungeon levels to prove your ability and patience while, recruiting and deploying mercenary helpers to bring in extra loot, and of course team up with your friends to form a guild to take on multiplayer guild challenges that await! Play the game with your own style, either Idle or in active tapping/clicking mode or anything in between. 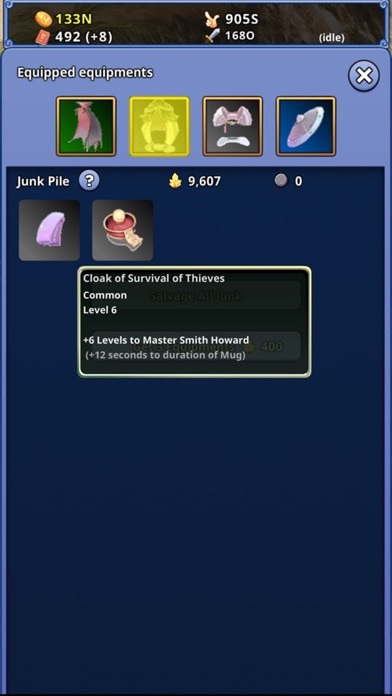 Even after you reach extremely high dungeon levels you can restart your dungeon run with many of our items and MVP card benefits to try and reach ever higher and faster! Over 100 Monsters and and infinite dungeon levels to battle, join the adventure of a lifetime today! I just love ragnarok from very beginning. 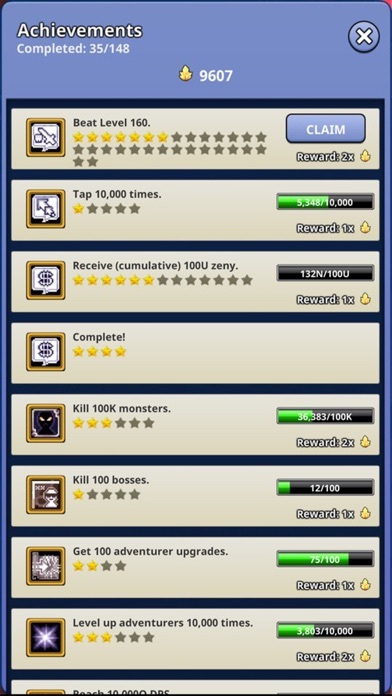 Looking at all of these monsters bring me memories and yes, tapping is also addicting! Idk what happened, but the music isn’t changing with the stages. I’m listening to Prontera Field music for all stages. Please fix soon. The music from iRO is one of my main reasons for loving this game. Been playing iRO since ALPHA!!! Please fix this issue. I would be ever so grateful. If you're looking for an active guild, search for "them boys"
Nostalgic Game, Goes Great Until.. 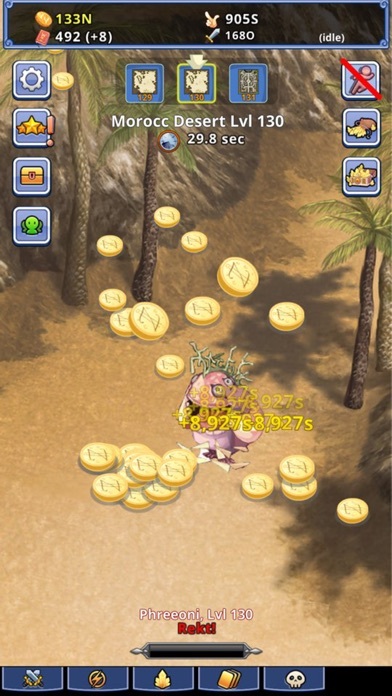 The game is great and will give you flashbacks of the old Ragnarok Online. Sadly once you reach the crazy high levels the game becomes P2P "pay to play" simply because you can no longer advance unless you purchase the next hero for 500 emperium, which is 10$ usd. Other than that this game needs more options to advanced without making a cash grab. Love it. It's just like Hero Clickers!